The issuing and acceptance of a Race Number confirms entrants have read and understood the following, and agree to adhere to all Terms/Conditions/FAQ’s. Entry fees are not refundable. Entries and race numbers are not transferable to another participant within 1 week of the race date, or at the Race Directors discretion. Please note that all race packs will be available to collect on the morning of the race. You are an amateur as defined by UK Athletics laws and agree to abide by their rules. You agree not to hold the organisers, marshals, volunteers, sponsors or any associated company or organisation working within the framework of the event (to the extent permitted by law) liable for any personal injury, sickness or accident suffered, nor the loss of any property on the course, changing areas, or event HQ. You are fully aware of the potential and actual risks associated with participation is these events and that on event day you are medically fit to take part. You participate entirely at your own risk and agree not to take part if you are unwell or injured. You understand that the entry fee is non-refundable. Race numbers as issued by the event will be worn by all competitors on the front of their running top. Participating athletes agree that we may publish your Personal Information as part of the results of the Event and may pass such information to the governing body or any affiliated organisation for the purpose of insurance, licences or for publishing results either for the event alone or combined with or compared to other events. Results may include (but not be limited to) name, any club affiliation, race times, occupation and age category. 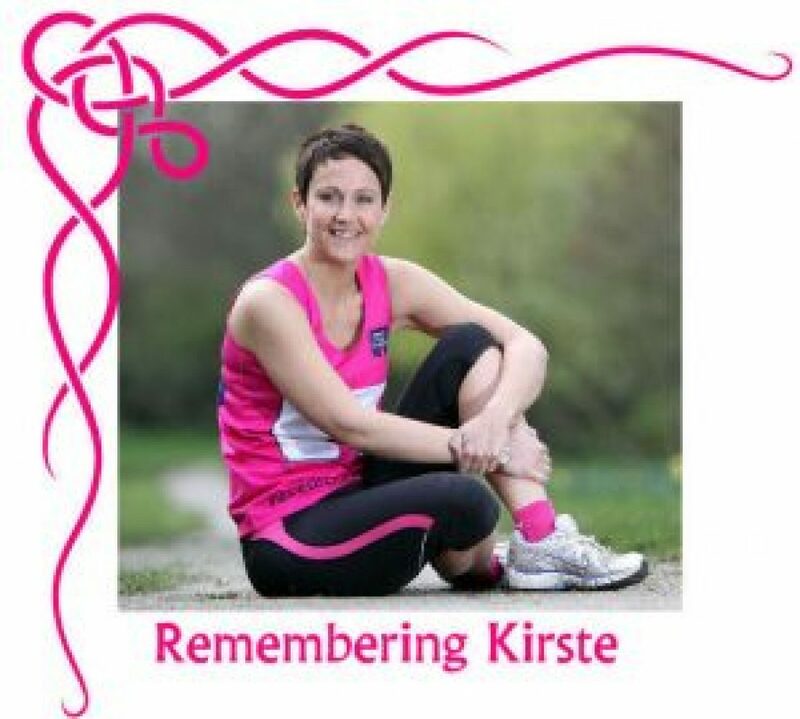 In the unlikely event that The Kirste 5 Memorial event has to be cancelled, delayed or postponed due to circumstances outside of our control, such as extreme weather or instruction from Emergency Services, no refunds will be payable. Participants give permission for photographs or films to be taken during The Kirste 5 Memorial events and The Kirste 5 Memorial event reserve the right to use such photographs for publicity or to promote future events. All data is stored securely and will not be supplied to any third party. On event days you must complete personal details, including any health issues and medication being taken on the reverse of the race number. The race number must be worn at all times and be clearly visible on the front of race apparel for the duration of the race. The Kirste 5 Memorial events reserves the right to alter or amend race information or rules before the event and publish any changes. The wearing of music devices or devices requiring headphones is permitted at the participants own risk. Parental or Guardian permission will be requested on the entry form for runners under 18 years old. The race will meet UK Athletics Welfare and Safeguarding requirements. Not litter the course and must use the bins either provided or available on the route. Keep to the trail route and public towpaths so that there is no impact on the environment. Give right-of-way to members of the public, including cyclists and horses at all times. Be nice, and respect other runners. Failure to follow event rules could result in disqualification and the Race Directors decision is final. I agree that my participation in the Event is for recreational and/or charity fundraising purposes only and I will not participate in the Event for any commercial or business purpose. The Event organiser will have no liability to the Participant for any loss of profit, loss of business, business interruption, or other loss of business opportunity.